The Mutiny Girl is a fictional mystery set in Miami, Florida and is inspired by the author's real world experience working at the Hotel Mutiny's private club during the era of the Cocaine Cowboys. Vance Courage is running out of ideas to shore up his failing Miami law practice. Pondering his options,his fugitive uncle shows up on his doorstep. The man needs a place to stay. Harboring him could land Courage behind bars. But how can he turn family away? An instant message blinks on his tablet. What does a fellow ex-cop from twenty years ago want? An attractive woman from across town messages him on a dating app; she invites him to meet her at the Hotel Mutiny. What does he have to lose? It's a family friendly place these days... but has a sordid past. Twenty years ago the hotel doubled as secret headquarters for the most notorious cocaine cartel in US history. His fugitive uncle is the indicted co-head of the defunct smuggling ring. The woman who cat-fished Courage online has ties to the hotel, too. So does his colleague who's obsessed with the unsolved murder of a beautiful hotel waitress. As more characters from the past appear, a deadly conspiracy to salvage a fortune in hidden drug money emerges. It's too late for Courage to back out of the dangerous hunt. Taking chances is tough. But running out of them might be deadly. Karen S. Gordon was born in Burbank, California, the fourth of five children, and the only girl. Her fascination with the twenty-six black and white symbols began when she embarked on her first major writing project at age three: to copy the entire Los Angeles phone directory into her older brothers' school notebooks. She's led an eclectic life. Karen got her first job at age twelve as a groom for a top polo player in Los Angeles. She was shipped-off to a private boarding school in Scottsdale, and later worked as a dough-roller at a major pizza parlor chain while attending the University of Arizona. Later she moved to Coconut Grove, Florida to be closer to her father, a practicing psychoanalyst. That's where he helped her get a job in 1979 when she unwittingly went to work at the Hotel Mutiny. 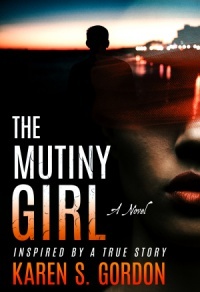 The Mutiny Girl is inspired by her experiences working inside the hotel's luxury private club while it doubled as the epicenter of Miami’s multi-billion dollar cocaine trade. Since 1982 Karen has made a living in the commercial film/video production business as an award-winning producer, writer and editor. 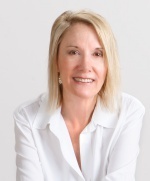 She is the author of an Action/Adventure/Mystery series, Gold & Courage. The first book, The Mutiny Girl, was released January 2019. The next installment, Scorpion Girl, will be published in 2020. She lives in Texas with her rescue poodle-mashup, Dexter, and is an avid equestrian.